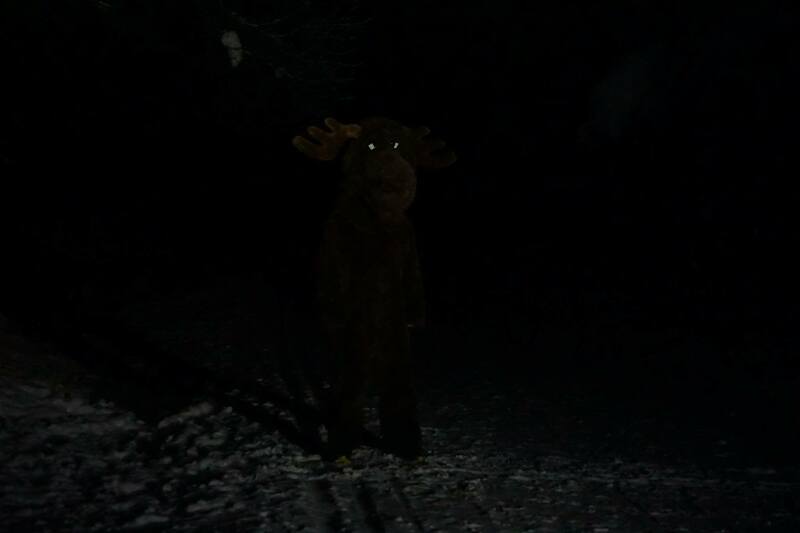 Carpenters have tools, poets have words, and runners have headlamps. Well perhaps the comparison falls a little short, but you get the point. 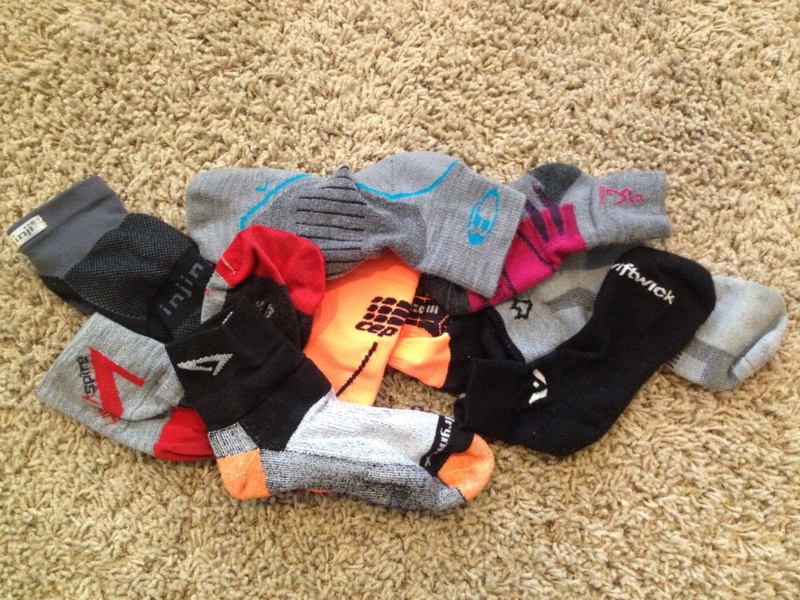 Headlamps are such a critical tool in the ultra runners arsenal that we often have several. 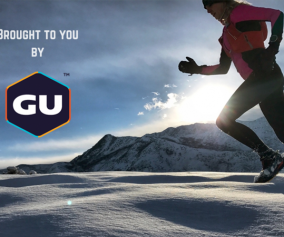 One for short runs, one for all nighters, one that is rechargeable, another that is ideal in cold temps…the list goes on. We decided to take a look at some of the most prevalent lights on the market and a couple lesser knowns also. Here is what we came up with. 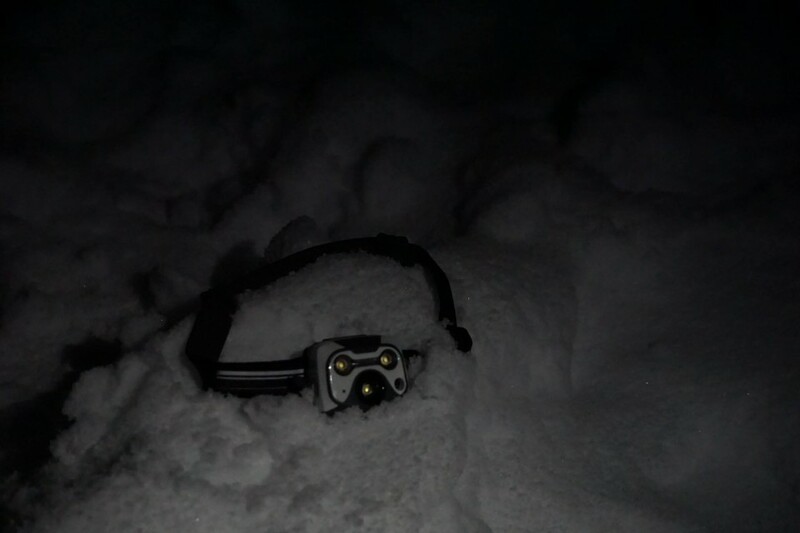 The Petzl NAO has the potential to be my headlamp of choice for big nighttime excursions. 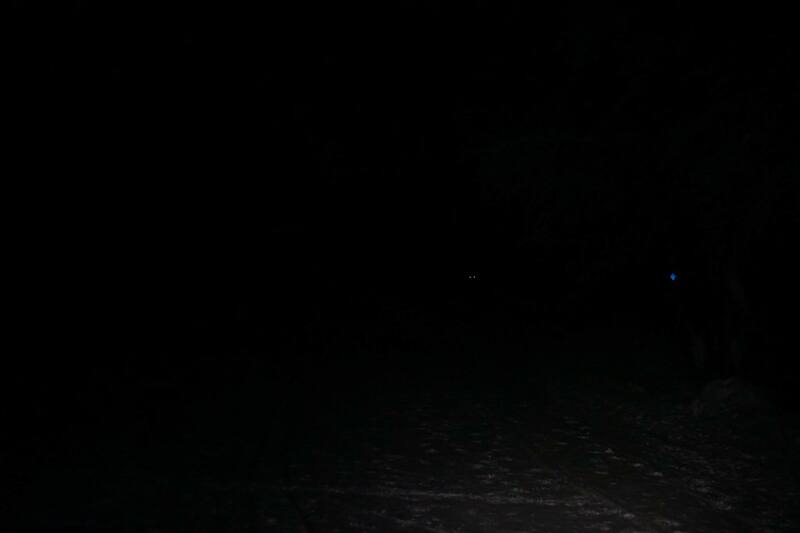 My testing was limited to night runs of 3-4 hours on snow covered trails and mountains, so my perception of brightness may be a little jaded, since ANY light on snow seems exceptionally bright. That being said, I loved the variable modes of Reactive and Constant lighting of the Petzl NAO. 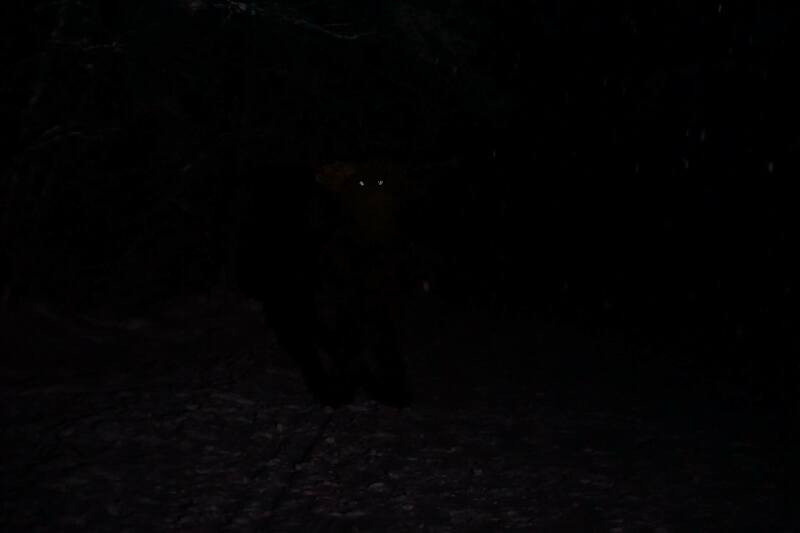 The Max Power of 575 lumens cast a beam farther than any other headlamp I have used, which made it fun to pick out the deer and elk hanging out on the hillside opposite from my standard trail. 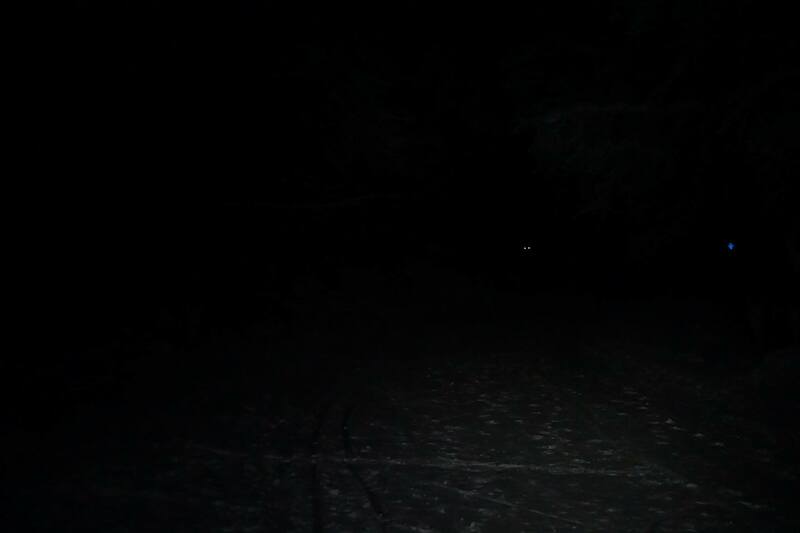 Once I got used to the initially annoying flicker of the light changing intensity during reactive lighting , I appreciated a strong beam while searching for the trail ahead and the Petzl NAO quickly changes to a subtle light as I fished some food out of my pack. The Petzl NAO rode very well. It didn’t create any sore spots or areas of irritation, and really wasn’t noticeable while in use. The NAO and I are going to have some fun over the next year. 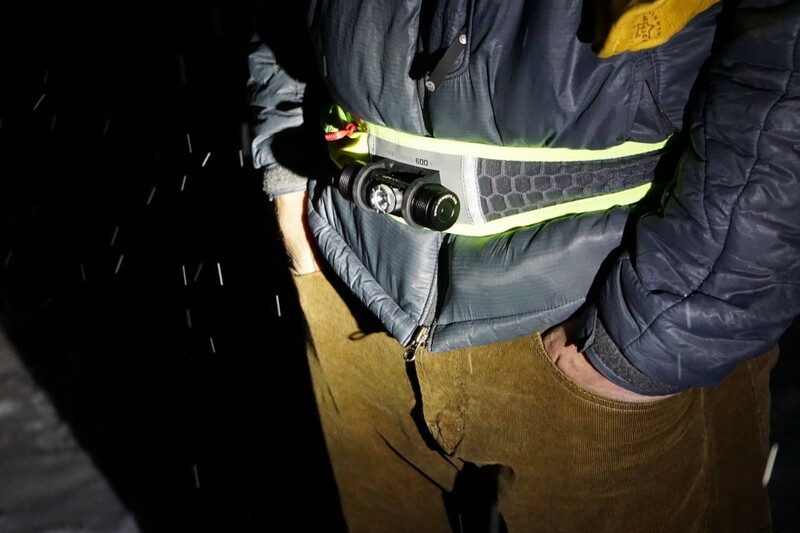 After experimenting with other headlamps that I would wear around my waist, the UltrAspire Lumen 600 is the first “true” waist mounted light that I have used, and I was really pleased. While a bit heavy due to its bomb proof aluminum housing, it rode snugly on the MBS belt, with no bouncing or jiggling. It advertises a beam of 135 meters while on high, which I found to be not quite accurate. However, for the type of running most of us do, who needs a beam that far? I really appreciated that due to its lower angle of light, the UltrAspire Lumen 600 cast an incredibly bright, wide beam that picked up details and shadows that a single headlamp isn’t always able to pick up. The on/off button was simple to operate, although a bit small to find while wearing a thicker pair of gloves. The only downside I found of the UltrAspire Lumen 600 was that since it is waist mounted, when I needed to look around off trail, fumble for something in my pack or pockets, the light didn’t move with my head, and my hips weren’t flexible enough to get the light where I needed it. Looks like it’s time for a refresher on my Salsa dancing. 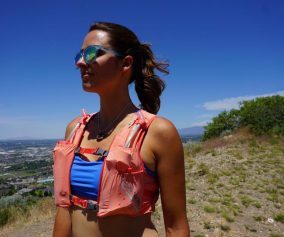 Overall, the UltrAspire Lumen 600 is a great light, and paired with a lightweight, no frills headlamp, it will get a lot of action during the upcoming racing season. The fit of the Petzl MYO is very good. The battery pack on the back of the strap takes a bit of getting used to, but I like the balance it provides, with not too much weight up front. 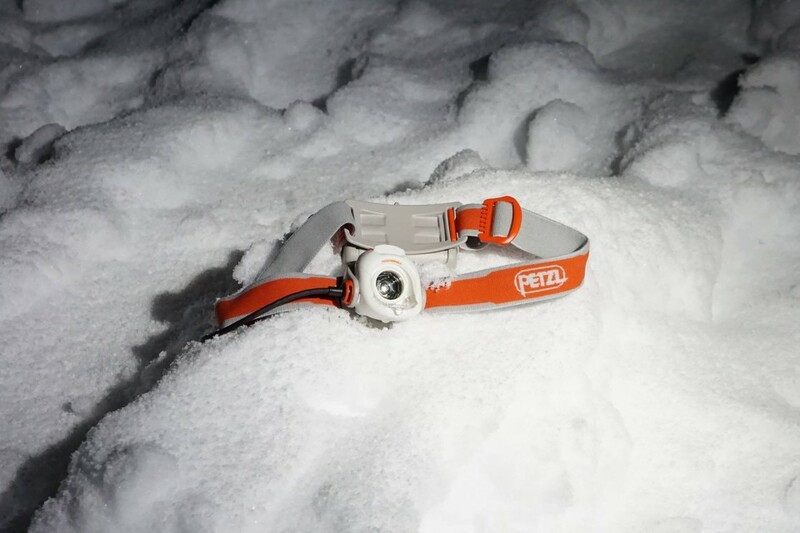 Once you get it adjusted correctly, the Petzl MYO is comfortable all night long with minimal, if any, movement. Often I’ll wear a backwards hat to minimize the effect even more. This light has a wide angle lens option which is easy to flip back and forth, depending on the type of lighting you might want (focused vs spread). 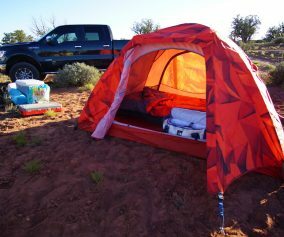 We love that it uses AAA batteries, so there is no need for charging, and you can always have spare batteries in your car, pack or in a drop bag. I have worn the MYO on many overnight occasions and it has lasted all night long. For the price, the Petzl MYO is one of the best lamps you can get, and will give you years of reliable service. 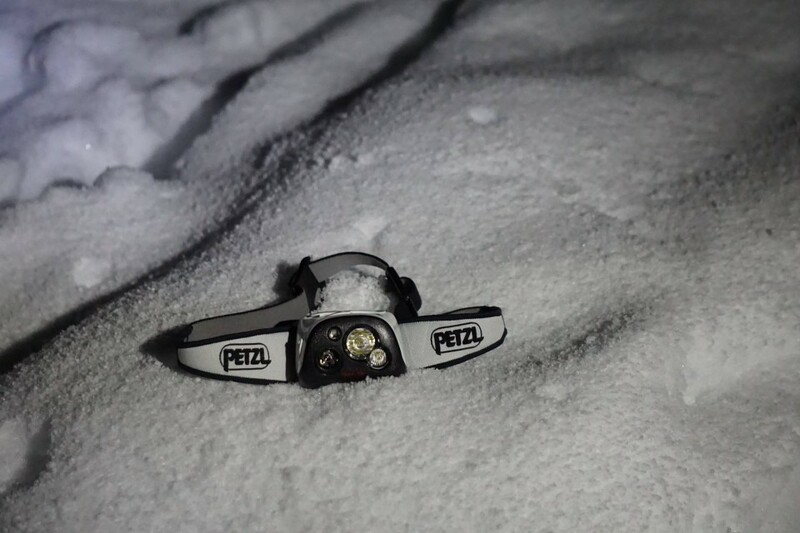 The Petzl RXP is my go to rechargeable headlamp for ultras. The RXP is the baby brother of the NAO, with all the functionality necessary to do the job. 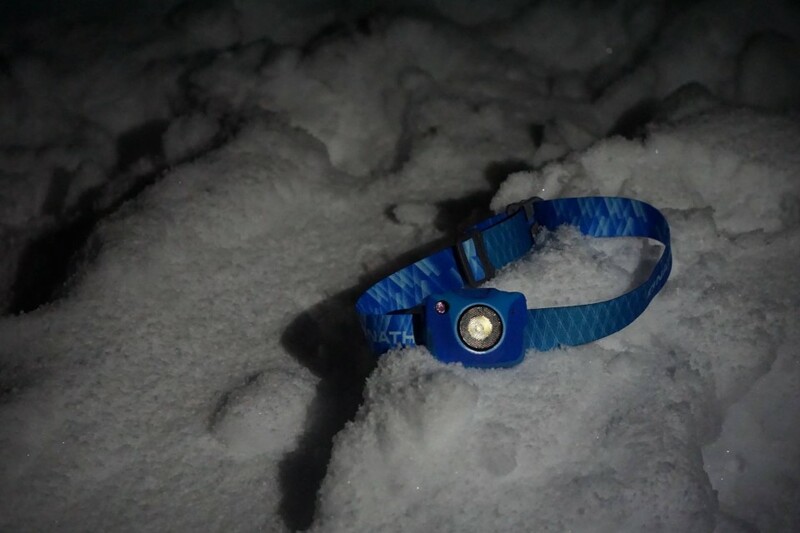 The reactive lighting and solid burn time give runners the confidence of an all night headlamp. In the rare event the reactive lighting fails or low temperatures compromise the battery life, you can easily add batteries to extend the life of our run. The headband is designed for active and dynamic activities, although many runners will prefer the the weight balance of the NAO battery pack in the rear. 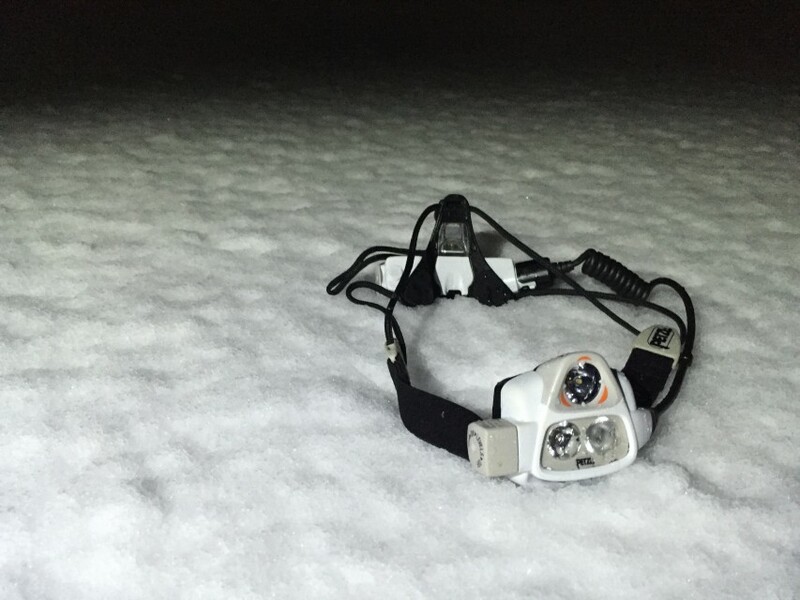 The RXP is a great mid price point headlamp with reactive lighting. The Nathan Halo Fire is a great all around head lamp for the average ultra runner, trail runner and urban runner. In general the light from the Halo Fire is very bright and covers an enormous wide reach. As it advertises, the multi beams works as designed providing a spot and floodlight. A two in one feature. For the most part, the light is light in comparisons to similar lumen rated headlamps. However, the light itself feels large and burdensome on the forehead. The light adjusts the angle very well and does not change while running. In regards to functional elements of the Nathan Halo Fire, the light conceptually has some amazing features, but is somewhat difficult to navigate and learn. Once the learning curve has been navigated, the light works generally well. The Runwave and Strobe features are great. 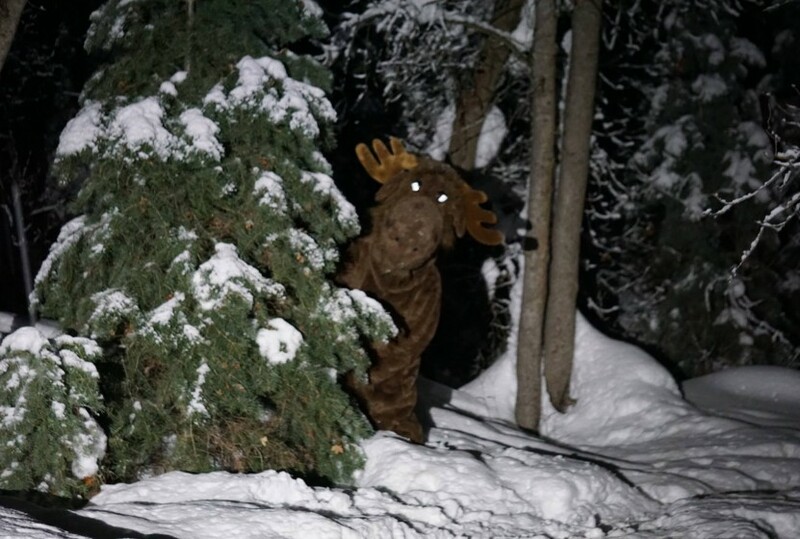 I can’t tell you how many times my other lights have dimmed when a car approaches, and I have wondered if they will even see me. The strobe concept on the Nathan Halo Fire is brilliant. Other than some fumbling around to navigate settings, the only other bummer of the Nathan Halo Fire is that the light looses battery quickly in very cold temperatures. 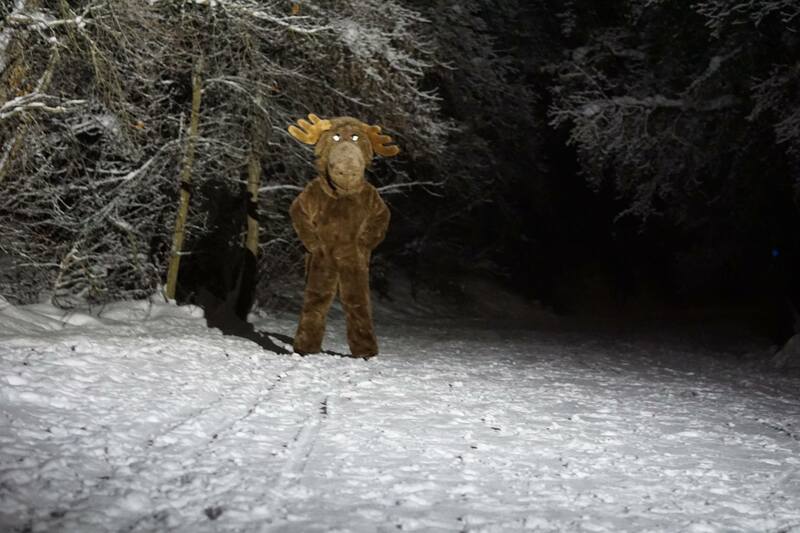 Some of you are even wondering who runs in 10 degrees or below, but for those that do need an arctic light, this is not the one to use. 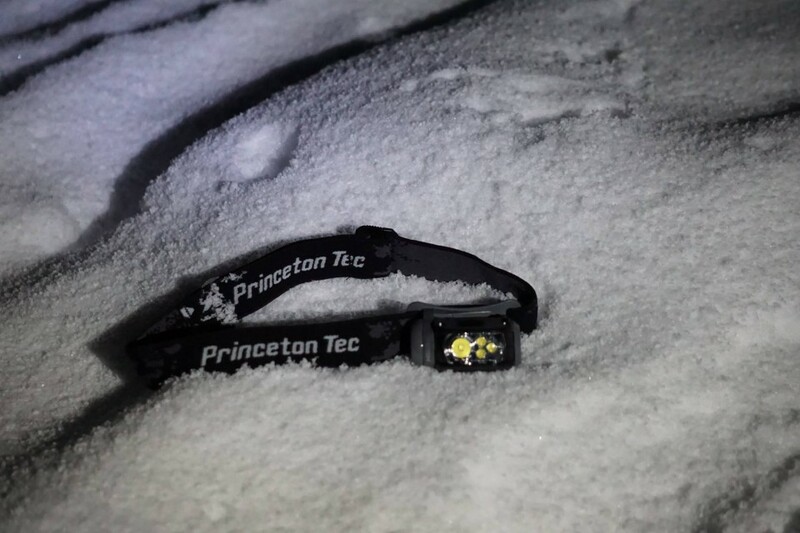 This little headlamp is everything Princeton Tec claims it to be.  Say what you want about USB chargeable lamps, it’s hard to beat 3 AAAs when you’re out in the backcountry. 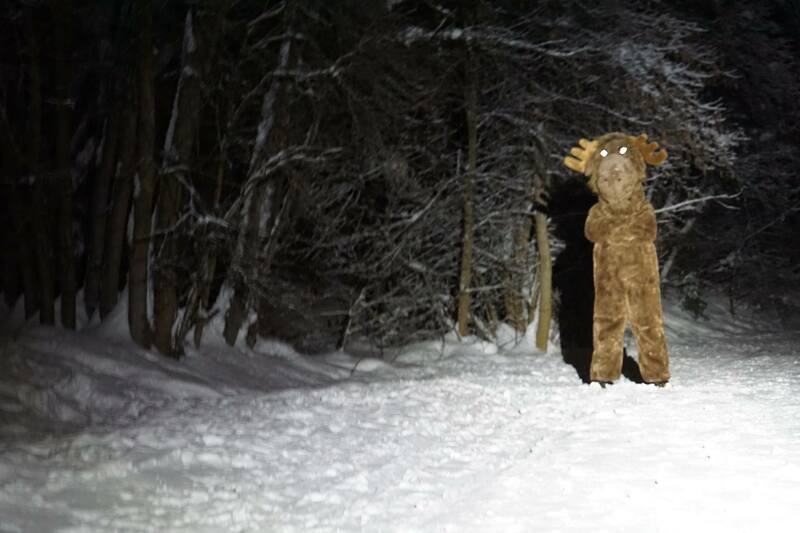 A quick exchange and you’re back on the trail. This lamp is easy to use and burns every minute as long as they claim. It sits comfortably without a top strap, but doesn’t slide any more than the other brands. If there is one set-back it might be that it’s a bit front heavy. Between the structure of the lamp and the batteries and ride just a bit heavy upfront. That aside and this is a really great lamp for the price. The Nathan Nebula Fire is a simple rechargeable headlamp with a lot of added features. Using just one LED light, the light features a Auto-Strobe and RunWave technology. The light functions well but takes some getting used to. The Strobe feature is really nice in urban running, but not as applicable in trail contexts. We used the Nebula Fire on several occasions. The first few times, we thought we were making some mistakes with it, it definitely took some acclimating to.  One of the most frustrating experiences was when we went for a long run at night and the battery completely died on us. The packaging advertised a burn time of 4.25 hours, but we were unable to achieve this in temperatures below 25 degrees. In fact on one occasion, the light only lasted one hour, even after a full overnight charge. We are assuming that was a contributor, but without taking it to the heat, we can’t say. Overall, we were not impressed, at all. We would give it a 1.5 out of 5. 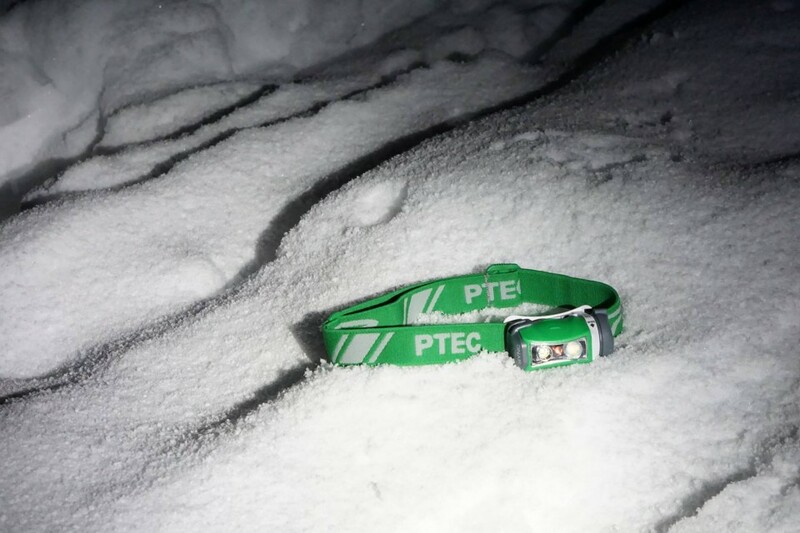 The Princeton Tec Sync is your go to everyday headlamp for hiking, camping and short runs. Go ahead and throw it in the drop bags as a backup, or when the moon is shining brightly. 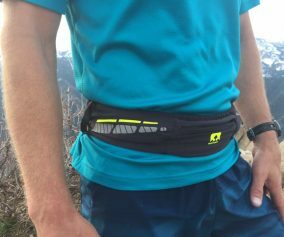 Do not plan on using it as your exclusive ultra running headlamp. The 90 Lumens just don’t compare to the other lamps on the market and our test reveled that also. The Princeton Tec Sync was very easy to use, required no learning curve and performed as expected from the manufacturer spec sheet. Tell us about your go-to headlamp, headlamp stories, or other feedback in the comments!